Do you know what your purpose is? What is it that makes your heart sing, truly makes your heart sing? When I was going through my Dream Coaching certification classes, Marcia Wieder, the Founder and CEO of Dream University, taught me an exercise that is simple and fun and I knew my purpose in less than 30 minutes. My purpose is to live in joy. To add on to this, my purpose is to live in joy and to inspire others to live in joy. It was clear to me this was what I am meant to do while I’m here on this earth. To help people learn what their gifts and passions are, their purpose, and share them in their lives. 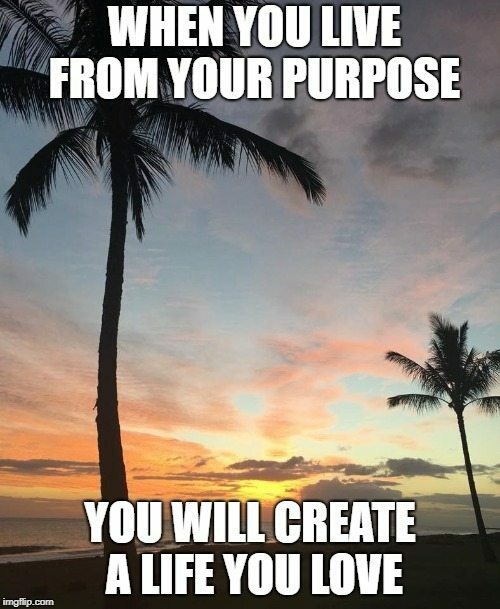 As I have coached others and take them through this same brilliant exercise, I have helped each of them find their purpose and to incorporate it into everything they do. Just yesterday I worked with someone new, doing this same purpose exercise. The difference in her, when we were finished, was like night and day. Her energy shifted and she had tools I suggested she begin using immediately. She walked out of my door with a big smile on her face and it felt as if she was much lighter. You see without knowing your purpose and what truly jazzes you or makes your heart sing, you have more chances to be lost and stuck in sadness or hopelessness. Knowing your purpose is like using your own compass or your own unique GPS. When I knew what my purpose was, I was able to live consciously, most of my present moments, from it. It’s like being on a ship without a rutter, when you’re not living from your passions, your purpose. This exercise really gave me such a gift. I know the people I have coached who have gone through this and found their purpose, have had such an eye opening experience, and a true guideline to live their lives from. If you’re interested in discovering your purpose, contact me. I’m happy to work with you over the phone for just 30 minutes at no charge. For me, living in joy and then inspiring others to live in their joy, was one of the main reasons I decided to build a coaching practice. I have wisdom and many messages from the sum total of my experiences here on earth, to share with others. As I work with others to help them shift out of the space or vibration they’re in, I am living in joy. I’m inspiring someone else to live in joy. 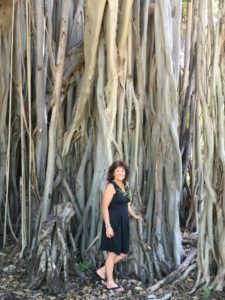 Through my monthly women circles, my one on one coaching, my blogs and my Kauai Spiritual Vacation Retreats, I get to share so many things with people, so they too can live from their purpose and what makes them truly live a life they love. I would love to hear your thoughts about all of this. PS. Join me and a small group of people in paradise, October 5-12, 2018, for our Glow Kauai Spiritual Vacation Retreat. All details are on my retreat page with videos from past retreats, that give you a great idea of what you will gain if you join us. Contact me ASAP since there limited spots available!